Today over on Parade magazine’s website, I’m showing you my new favorite party appetizer. It’s healthified. Which generally sounds horrible. Party and healthified are two words you never really want to see together. But I promise that healthified really means awesomely delicious here. And also means you can eat a zillion of them, instead of a couple. Assuming that the host at the party has made a zillion. You wouldn’t want to pig out and leave the plate empty for the rest of the guests. But you might. If you’re that kind of person. Which I sometimes am. Does that mean you’re not going to invite me to your parties now? I promise I’ll my best to be a good party guest. And lots of other good stuff, too. So good you might want to just make them for yourself instead of a party. Then nobody can say you’re a rude party guest. 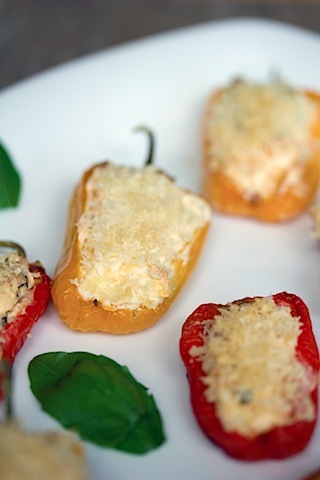 17 Responses to "Sweet Pepper Poppers"
Oh, now these look so delicious and pop-able! I’d have trouble not eating them all before bringing them to a party! I love the colors! I would probably eat an entire platter at a party too. Oooops! This would be such a fun appetizer to bring to a party and to enjoy! Thank you for sharing. Such bright pops of color and flavor! I am all for healthifying things in a delicious way! Especially when my guests can’t even tell that I’ve done a single thing to their indulgent treats. THat’s the best. Off to check these out! Greek Cream Cheese?!?! Oh I’ve never heard of this but definitely need to get my hands on some! 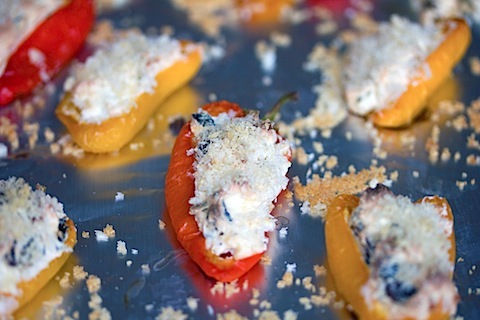 I’m going to have to see if our market is carrying Greek cream cheese, your poppers look terrific. This looks delicious! Looking forward to checking out that post. Heading over now! I love sweet peppers! I’ve never even seen Greek cream cheese before! I’ll have to give it a try. And these peppers look awesome! I had no idea they made greek cream cheese! I’ve got to try this! 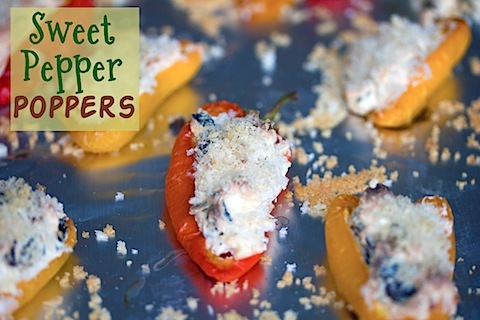 I make sweet pepper poppers quite often… definitely need to locate some of that greek cream cheese now!!! YUM!!! I love jalapeno poppers, but I”m always put off my the fried greasiness. Thanks for the variation…and Greek cream cheese? Yes please!! Ohh what a cool idea! 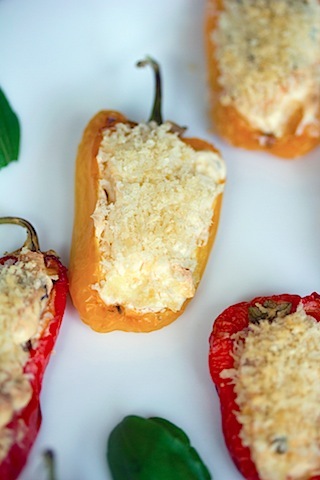 I love jalapeno poppers, and have never expected them to be sweet… I think I’d like these though!